The Louisville 2017 IWL Conference will be a Louisville event, with local leaders and sponsoring companies. 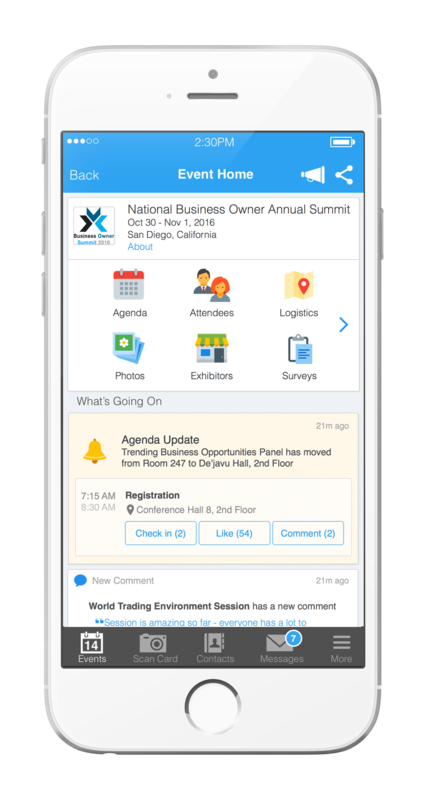 The topics discussed will cover issues that are relevant to the business community in your state, your companies and your leaders and relate to this year’s theme – I Got This! Bio: Amy Letke, SPHR, GPHR is a workforce visionary and Founder and CEO of Integrity HR (www.integrityhr.com), a human resources outsourcing and consulting firm located in Louisville, KY. She is an internationally renowned speaker, author and consultant earning a reputation for her dynamic, and impactful programs designed to inspire, improve and enlighten any workforce group! As a speaker & entrepreneur, Amy provides solutions to companies in the areas of business start-up & continuity, HR management considerations, and effective means for building a thriving organization. She also helps employers manage employment law compliance, best practices for improved business performance, improving “people productivity”, leadership coaching, incentive and base compensation design as well as policy design and deployment. Known to many as the “HR Doctor”, Amy Letke built her expertise primarily in professional service, manufacturing and software industries. She has held various leadership roles including VP of HR for a national software organization, she’s built a successful HR consulting practice with a national accounting and consulting firm as a Senior Manager, and also held executive positions in insurance agency leadership. Amy has published three books, started & operated three successful businesses and is a certified human resources professional with 20 years of HR and entrepreneurial expertise. Her company, Integrity HR has been on the Inc. 5000 fastest growing companies list twice, was named one of Inc. Magazine’s best places to work in 2016, and also ranked #2 in the small business category for Kentucky Best Places to Work in 2016. Bio: Amy joined MCM in July 2009. Prior to joining the firm, Amy was with Deloitte Tax in Cincinnati, Ohio. Amy’s tax practice emphasis is primarily corporate and not-for-profit tax issues. Amy is a member of the firm’s Recruitment Committee, Charitable Action Committee and Next Generation Committee. Bio: Angela focuses her practice in mergers & acquisitions within the firm’s consulting group. She provides full-service investment banking services to Middle Market clients in the Kentucky, Indiana and Ohio regions. Angela also has more than 25 years of experience in assisting owners in transitioning their businesses, including buying and selling businesses, turn around, and financial management. Prior to joining MCM, Angela worked as a Director for Corporate Finance Associates, a worldwide middle-market investment banking firm. Angela has owned her own commercial construction and real estate company. Throughout her career, she’s worked on M&A transactions in broadcasting, healthcare, banking, manufacturing, distribution, technology, business services and construction. Bio: Ann L. Coffey is the Chief of staff for the Office of Advancement at the University of Louisville. She has held this position since February 2011. In this role she assist the Vice President in the implementation of the university’s fundraising campaigns and oversees the business and human resources office which employees 90 people and manages a $10 million budget. In this position, she leads the Talent Management effort as well as strategic planning for the unit. Prior to joining the University of Louisville, Ann was President & CEO of Women 4 Women (W4W). Founded in 1993, W4W is a non-profit organization dedicated to improving the health and economic well-being of women and girls in Louisville, Kentucky. Under her leadership, W4W received the Art in Excellence in Vision award given by the Center for Non-Profit Excellence. During her tenure, W4W launched a community-wide initiative called the Champions 4 Her Walk, Run & Festival raising money and awareness for 10 mission aligned organizations. In addition, W4W Board members pledged $1 million to launch Louisville’s first community-based fund called The Fund 4 Women and Girls. She led the creation of Finance 4 Her the most successful financial education program in the community for underserved women and families. She also led the creation of Fit 4 Me a holistic health and fitness program for underserved middle school girls. Other career highlights include serving in Governor Martha Layne Collins’ administration as a special assistant to the Governor organizing the first Bluegrass State Games and coordinating the Governor’s educational efforts across the state. 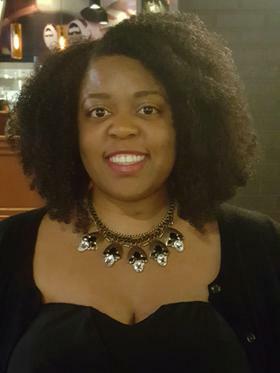 Following the Collins’ administration, she worked as a senior account manager for Doe Anderson Advertising and Public Relations in Louisville. In 1998, Ann founded her own consulting business, Z Marketing Co. Her list of clients included the National Underground Railroad Freedom Center, Miami-Dade Community College, the University of Maryland’s James MacGregor Burns Academy of Leadership; and the National Center for Diversity. In 1995, Ann was selected as a National Leadership Kellogg Fellow, which provides emerging leaders with the skills needed to address societal and community issues. Ann studied social marketing during her fellowship focusing on multi-cultural and racial communications challenges. Her three-year fellowship culminated in spending four months visiting five Asian countries meeting with National Governing Organization’s representatives in her quest to learn more about how to connect with diverse audiences worldwide. She later served on the national Kellogg Fellows Leadership Alliance board of directors. Ann enjoys the outdoors, athletic activities and international travel. Her passion is mountain climbing, high altitude trekking and introducing groups to outdoor experiences. Some of her favorite climbs include Mt. McKinley, the Swiss Alps - Matterhorn, Mt. Rainier and the Annapurna Range in Nepal. In 2013, she completed her twelve-year adventure to reach the highpoint of all 50 US states and is recognized as the first Kentuckian to achieve this goal. Ann is a native Kentuckian and a graduate of the University of Kentucky. In 2014, she completed the Georgetown University Executive Leadership Coaching certificate program. She is currently enrolled in the Masters of Science for Positive Organizational Development and Change at Case Western Reserve University (Graduation May 2017). Bio: Ann Toni is Senior Counsel, Distribution & Services for Haier US Appliance Solutions, d/b/a GE Appliances. In addition to her role as Counsel for Distribution & Services, Ann Toni also serves as the litigator for all disputes involving a supplier or customer. As a litigator, Ann Toni has successfully represented GE Appliances in numerous arbitrations resulting in the savings of millions of dollars to the compaby. Further, she has successfully negotiated or mediated supplier disputes prior to the filing of a lawsuit, thereby saving the cost of expensive litigation. She regularly advises business leaders on policies and procedures to prevent costly litigation as well as conducts training sessions on various compliance issues. In both her role as a ligitator and as Counsel for the Distribution & Services business of GE Appliances, Ann Toni assists the GE Appliances’ leadership team with business decisions by evaluating risks and the potential liability of company. Ann Toni received her B.A. in Corporate and Organizational Communication from Western Kentucky University and her juris doctorate degree from Salmon P. Chase College of Law at Northern Kentucky University. She began her career practicing law in her hometown of Bowling Green, Kentucky with a focus on insurance defense and medical malpractice defense. In 1998, she continued her litigation practice with a large, regional law firm in Louisville, Ky. In 2007, Ann Toni took her litigation experience to the appliances division of the General Electic Company, where she has continued her law practice. Ann Toni serves as the Coordinator for the legal department in the GE Appliances’ Annual Giving Campaign as well as supporting other charitable organizations through the company. Additionally. Ann Toni currently serves as a panel chairman of the Inquiry Commission of the Kentucky Bar Association. Ann Toni lives in St. Matthews with her two dogs, Max and Marly. Bio: Beth Davisson is the executive director of the Kentucky Chamber Workforce Center, and serves as the Immediate Past President of the Louisville Society for Human Resource Management and District Director for the Kentucky Society for Human Resource Management. Beth has spent the last 10+ years aligning talent to the strategic plans of business. Ms. Davisson is a proven workforce strategist and consensus builder, with 5+ years advocating for workforce needs in the KY and US Capitals. 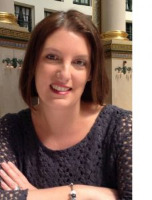 She earned her bachelorette in Integrated Strategic Communications from the University of Kentucky, and Master of Business Administration from Sullivan University. Beth was honored as a “Top 40 under 40”, and named a “Top 20 People to Know in Human Resources”, by Business First Louisville, and is currently participating in the 2017 Leadership Louisville Bingham Fellowship program, focusing on “Winning the Talent of the Future.” Previous employers include Sullivan University and The Oliver Group. Bio: Diane Bailey-Boulet joined Humana in 2014 with a program focus on developing leaders in the context of rapid change. She has more than 20 years of sales, marketing, fund raising, coaching, and communication strategy experience. Diane has a passion for promoting well-being and women’s advancement. She is a YMCA board member and chairperson-elect for her branch. She contributed to best-selling Write to the Top: Writing for Corporate Success (Random House). A first generation British-American raised in Boston, Diane is married with two daughters. She is a Boston College graduate and loves to travel the globe. Bio: Diane Williamson is the “She” of SheSaid Productions, Inc., providing voiceover services for companies across the globe. A native of New Albany, IN, Diane’s career began in Louisville KY where she was a radio personality as well as the Entertainment Reporter at Fox 41. Eventually, the growth of Diane’s freelance voiceover clientele enabled her to become a self-employed entrepreneur spending her days in her home recording studio writing copy, editing audio, and making her clients sound fantastic – whether it’s on their phone systems, e-learning platforms, audio books or their radio and TV commercials. Among her more well-known clients are OnStar (she’s that voice that tells you where to go!) Macy’s, Bloomingdale’s, Intercontinental Hotel Group and Triple A. Chances are if you’re cussing out a phone system because you can’t get to a human, that’s Diane’s voice on the other end of the line! Bio: With high hopes and tons of aspiration, fresh from business school, Deb started her career driving a route truck for Frito-Lay. As a route driver and Teamsters member, she delivered chips in the city of Detroit. On the truck, she learned the value of hard work, respect and how to watch out for shady characters that wanted cash that wasn’t theirs. With three decades of experience, Deb has held executive roles in four Fortune 500 Companies, Frito-Lay, Coca-Cola, Brown-Forman and Humana. Her roles expand from the disciplines of sales management, operations, marketing, to strategic planning and executive leader development. She is also a professional speaker, stand-up comedian and a storyteller. As a professional speaker she shares her expertise on the topics of leadership, hope and transformation where she blends her business expertise with the right touch of humor. In her current Humana role, Deb works with senior leaders who want to increase their impact and contribution. Her focus is on the advancement of organizational strategy, alignment and renewal. She holds a Doctorate in Leadership and Organizational Development from George Washington University and is the author of Executive Women and Leadership (2005). Bio: Dr. Hope Zoeller is Founder and President of HOPE (Helping Other People Excel), LLC, a firm that specializes in facilitating leader success at every level of an organization. For over 13 years of her professional career, Dr. Zoeller worked at UPS in various roles including Customer Service, Training and Development and Employee Relations. For the past 12 years, she has been consulting with organizations on leadership development. Dr. Zoeller is also a Professor at Spalding University instructing in the Master of Business Communication program. She has a Doctorate in Leadership Education from Spalding University, a Master of Education in Training and Development from the University of Louisville and a Bachelor of Arts in Communications and Psychology from Bellarmine University. Hope recently released a book HOPE for Leaders Unabridged. Bio: Tim Findley is Division Vice President of Diversity and Inclusion at Kindred Healthcare. In the position Findley has overall responsibility for the creation and implementation of the enterprise-wide diversity and inclusion strategy. Kindred Healthcare, Inc., a top-90 private employer in the United States, is a FORTUNE 500 healthcare services company based in Louisville, Kentucky with annual revenues of approximately $7.2 billion. Kindred through its subsidiaries had approximately 102,000 employees providing healthcare services in 2,700 locations in 46 states. Dr. Findley has a doctoral degree from Spalding University, an MBA from Webster University, and a bachelor degree from the University of Louisville. Dr. Findley is certified as a diversity professional/advanced practitioner by Cornell University in Ithaca, New York, where he is also a member of the adjunct faculty teaching leadership, diversity, inclusion, and cultural competency. Dr. Findley also is or has been an adjunct instructor at Webster University, Spalding University, Sullivan University, the University of Phoenix, and Jefferson Community College. Dr. Findley is former chairperson of the Board of Trustees at Father Maloney’s Boy’s Haven and a member of the Board of Trustees at the Lincoln Foundation. Dr. Findley was also chairperson of the Premier Supplier Diversity Committee. Premier is one of the nation’s largest performance improvement alliances of approximately 3,400 U.S. hospitals and 110,000 other providers. They bring together hospitals, health systems, physicians and other healthcare providers with the goal to lead the transformation to coordinated, high-quality, cost-effective care. He is a former board member of the Volunteers of America, the Louisville Central Community Centers, and the Kentucky Industrials for the Blind. Dr. Findley has been a presenter at numerous conferences regionally and nationally, speaking on topics of leadership, diversity and inclusion, cultural competency, and communications. Bio: Jaleigh White is Executive Vice President of Hilliard Lyons. She joined the firm in 2011 to lead the transformation of the firm’s brand and service model from its historical roots as a broker/dealer to a full service wealth management firm. Her direct reporting responsibilities include Hilliard Lyons Trust Company, Wealth and Family Office, Wealth Planning, Brand Strategy and Marketing. In her prior role at Fifth Third Bank headquarters in Cincinnati, Ohio, Jaleigh was Managing Director of the Private Bank. In addition to her national P&L and sales responsibilities, she was tasked with migrating its 19 decentralized Private Bank service models into one common brand and service model through a collaborative and intensive two year process. Her last initiative at the bank was to build the first separately branded entity of the bank to serve the bank’s ultra-high net worth clients. In 2009, she launched Mirador Family Wealth Advisors, serving as its inaugural CEO. Jaleigh also served on the leadership team that acquired numerous and varied financial service companies during the expansion of the bank. Prior to joining the banking industry in the 1990s, Jaleigh spent over a decade in public accounting. She began her career at Arthur Andersen and later joined Kemper CPA Group where she served as Managing Partner for the Tax Department that served the firm’s 26 offices in Indiana, Illinois, California and Florida. In that role, she was responsible for all ERISA issues, mergers and acquisitions work for the firm’s clients, estate and financial planning as well as general tax research and strategy. Corporate board experience includes her current role on the advisory board of The Oliver Group in Louisville, Kentucky and previous role on the board of Deaconess Health Systems in Evansville, Indiana. She chaired the compensation committee for Deaconess and continues to serve on that committee. Volunteer experience includes the Welborn Foundation in Evansville, Indiana. This $120 million foundation was formed from the sale of a hospital over a decade ago. In her 11 years on the board, Jaleigh helped with setting the strategy for this new organization and chaired the investment committee for the past 8 years. In Louisville, she serves as a board member for Actor’s Theatre and The Center for Women and Families. In her past she has also served as president of her Chamber of Commerce and on the board for Tales & Scales, and D.A.R.E. Jaleigh has also been actively involved in the AICPA on a national level for over 20 years. Most recently, she has served on the 21-member task force “Horizons 2025” that set the future strategy for the AICPA and on the governing council. She also served two terms as chair of the investment committee, and was on the nominations committee, employee benefits task force and was a trustee for the Life Insurance Trust. Jaleigh is a frequent speaker and author on topics involving executive compensation, wealth management needs of business owners, investing for women and generational wealth transfer. Bio: Jennifer Browning Holmes spent 27 years in corporate America holding management, director and executive level C-suite positions for several major healthcare companies including; Boston Scientific, Guidant Corporation, Heartport, EKOS and Spectranetics before founding her management consulting firm, Integrating Woman Leaders, Inc. Currently, Jennifer is Chairperson and Chief Executive Officer at Central Logic. She has deep experience in healthcare technology with expertise building strong teams, culture, and client relationships. Jennifer was most recently Senior Vice President of Enterprise Solutions for MedAssets, an industry leader in healthcare technologies and solutions with installations in over 4,000 hospitals. In early 2010 Jennifer founded, Integrating Woman Leaders, Inc. (IWL) a WBE, Certified Women Business Enterprise. Today, IWL is a respected management consulting firm dedicated to the advancement of women in the workplace. IWL focus is on leadership, communication and skill development for women. The company works to ensure corporate inclusion and diversity efforts are aligned with their women’s initiatives. IWL assists companies who are interested in launching and implementing corporate women’s initiatives tied to leadership development training programs. The company has been successful in coaching and developing individuals through their highly trained, certified and skilled executive coaches. Through her passion to mentor women Jennifer created the first Annual Women’s Leadership Conference in the state of Indiana. Jennifer currently holds a position as Faculty Partner, at Butler University’s College of Business, Corporate & Executive Education (BCEE). In collaboration with BCEE, IWL offers customized training as well as public leadership development programs. Each program focuses on key areas of leadership, which were identified from the past four years of research and feedback from clients and attendees of the annual IWL Women’s Leadership Conference. Jennifer recently served as Vice President, Board of Directors, Domestic Violence Network (DVN) and serves on the Board for the Juvenile Diabetes Research Foundation (JDRF). She volunteers her time mentoring women through her membership with the Healthcare Women Business Associations (HBA), having served as one of the 2012 Indiana Chapter Mentors. She is a member of Mentoring Women’s Network, a past member of the National Association Women Business Owners (NAWBO) and was recently invited to become a member of the Global Institute for Women in Leadership. Jennifer is a graduate of Indiana University, Bloomington, with a BS in Science. She is a wife and mother of three beautiful daughters and the stepmother of three. Bio: Jennifer is an Assurance Senior Manager at MCM CPAs & Advisors. She joined MCM CPAs & Advisors in 2009 after working at Ernst & Young for four years. Jennifer has over ten years of accounting and auditing experience, specializing in service to healthcare entities. She has managed and participated in numerous audits of healthcare facilities, ranging in size from stand-alone facilities to large health systems. Jennifer received a Bachelor of Arts degree in Accounting and a Masters of Business Administration degree from Bellarmine University. She is a Certified Public Accountant and Certified Healthcare Financial Professional. Jennifer is a lifetime resident of Louisville, Kentucky, where she lives with her husband, Matt, and their young sons, Will and Nicholas. In her leisure time, she enjoys spending time with family and friends. Her favorite activities include exercising, supporting her favorite sports teams, and making crafts. 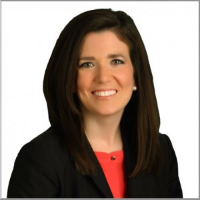 Bio: Jennifer Willis is the Vice President for Commercial Product Sales in Kentucky and Indiana. She formerly held the Practice Leader role in Humana’s Arizona and Nevada markets. Jennifer’s journey to Humana started in 1996 when she joined Employers Health Insurance, in Green Bay, Wisconsin. When Humana acquired Employers Health, Jennifer moved into key sales and marketing roles in Humana’s Chicago and Arizona market offices. Growing up in Yanbu, Saudi Arabia, Jennifer had the opportunity to travel throughout the world before attending the University of Illinois, where she earned a Bachelor of Arts degree. Jennifer enjoys volunteering with professional and non-profit organizations. Jennifer is a graduate of Leadership Oldham County, Leadership Louisville and Leadership Kentucky. Jennifer currently serves on the boards of United Way Oldham County chapter and Oldham County Education Foundation. She is the former Board President of the Prospect Area Chamber of Commerce. Jennifer is on the Fundraising Committee of Kentucky Nature Preserve at Creasey Mahan. In Oct 2013, Jennifer was recognized by the Oldham Chamber and Economic Development with the Spirited Women Achieving Notoriety (SWAN) award. In Feb 2015, Jennifer was awarded the Fan Favorite Award during the Dancing with Prospect Stars charity event where she danced the Salsa and raised over $12,000 for USA Cares. In Oct 2016, Jennifer was awarded the Strong Woman Leadership Award by the Prospect Area Chamber of Commerce. Jennifer is married to husband, Thomas and has two children. Besides being a wife and mother, Jennifer enjoys golf, crafts, cooking, and travel. Bio: Jim Ingersoll is the Plant Director of Brown-Forman Distillery Operations. In his current role, he is responsible for leading Brown-Forman’s Distillery, Warehouse Operation and two Bottling Plants where they make many of their great bourbons, whiskeys and liqueurs. Jim has held various operational leadership roles throughout his over 15 year career with top companies including Alcoa, Kellogg’s and now with Brown-Forman. Before his current role, he held positions responsible for coaching and developing key operational leaders while driving significant improvement efforts across global operations. Jim has a strong background in building high performing teams and processes with a great passion for operational leadership and continuous improvement. 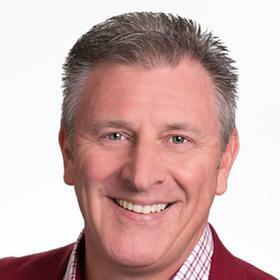 Jim received a Bachelor’s Degree in Organizational Leadership & Industrial Engineering from Purdue University and a Lean Six Sigma Black Belt certification from Villanova University. He has also been a certified facilitator in Development Dimensions International (DDI), which is a robust leadership development program. Jim has been an active member in Employee Resource Groups for the majority of his career focused on supporting Young Professionals and Women in Leadership. He is currently on the Brown-Forman Women’s ERG steering committee (GROW) and will be a Co-Lead for planning their Women’s History Month program and activities. Jim owes his great passion in this space to his wife of 10 years and their 3 daughters which are 7, 5 and 2 years old. Jim and his family are originally from Northwest Indiana and relocated to Louisville a few years ago. Bio: Jorge De La Jara is the System Director of Inclusion for Norton Healthcare. He is responsible for the Diversity & Inclusion strategy and execution throughout the system. Jorge has held various leadership roles throughout his career in various sectors including international business for Oracle Corporation, retail operations for Delhaize America, D&I for Compass Group (a food management company), and financial services for Lincoln Financial Group. He is able to combine his leadership skills and knowledge of operations to advise the senior team on matters of talent development and diversity and inclusion practices. Education, Awards & Affiliations and Background Jorge received a BA in business administration from Pfeiffer University and MBA from Wake Forest University. He is a former Chairman for the Latin American Chamber of Commerce in Charlotte, NC. He currently serves as a board member for the Louisville Urban League and the Make A Wish Foundation in Kentucky. Born in Peru, Jorge’s Chinese-European Latin American heritage gives him a unique multi-cultural perspective as an immigrant to the United States. He is proud of his wife of 19 years and their 11-year-old son & 9-year-old daughter. Bio: Maggie Anderson Phelps is the Executive Director of Integrating Woman Leaders Foundation, an organization dedicated to the advancement of women leaders through empowerment, support and connections. In 2014, she led the charge in creating the nonpro t, an entity of Integrating Woman Leaders, Inc. She did this out of her passion for supporting invididuals in becoming the best version of themselves and continue their personal and professional development. 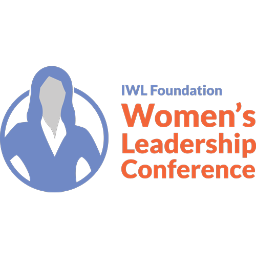 In her role since January of 2015, Maggie has succeeded in starting the inaugural IWL Women’s Leadership Conference in the state of Kentucky, expanding offerrings in Indiana - now having reached over 3,000 people, creating key partnerships and launching the IWL Foundation Networking Events series. More recently, Maggie’s article - Millennials: Entitled, Loyal, Productive - was published in the Indianapolis Business Journal. Prior to leading IWL Foundation, Maggie served as the Director of Marketing and Business Development for IWL Consulting. During that time she led the organization’s marketing efforts in creating and executing a strategic marketing plan including communications, media outreach, digital media, print marketing and a complete rebranding. She launched the IWL Brand You Leadership Series in 2013, served as a consultant for women’s initiatives and expanded partnerships for the organization regionally. Prior to joining IWL full time in 2013, Maggie gained considerable Marketing and Public Relations experience interning with companies including: the Butler Business Consulting Group, Indiana Soccer Association, Alerding Castor Hewitt, LLP and Fineline Printing Group. Maggie graduated from Butler University with a degree in Marketing and minors in Public Relations and Spanish. In her time at Butler University, Maggie became a published author. She and seven other interdisciplinary students worked together for over a year to write and publish a children’s book called, He Huffed and He Puffed But...A Tale of a Wolf with Asthma. The team used crowd funding to fund the project and they sold 500 copies to local doctors, pharmacies and organizations including The American Lung Association. Maggie values excellence in a work setting while also exploring the world outside of the of ce. She has international experience; having travelled to 23 countries in her life and speaking Spanish. In her free time Maggie serves on the Centric Board of Directors, volunteers as a soccer coach at her local YMCA and leads the Indianapolis local Levo League chapter. Senior Vice President, Planning and Business Analysis, Norton Healthcare, Inc.
Bio: Mary Jo Bean, Senior Vice President, Planning and Business Analysis joined Norton Healthcare in August, 1999 as Vice President, Planning. Mrs. Bean built the Planning department from the ground up and currently has responsibility for Norton’s strategic planning and clinical quality reporting teams. In addition to those functions, the Planning team is responsible for organizational and service line planning, mergers and acquisitions, community benefit reporting and the system community health needs assessment as well as decision support and cost accounting, including data analytics and dashboard reporting. Ms. Bean has more than 25 years' experience in health care, which followed a career in public accounting. Her healthcare career began in 1989 at Humana working in strategic planning and later in mergers and acquisitions. Following that she joined a start-up physician practice management company, HealthSpring, and was involved in company organization, accounting systems set-up and administration and several development activities. Ms. Bean joined United Healthcare in 1995 and worked with two additional healthcare related start-up ventures, including a physician service organization, MTS, Inc., and a physician credentialing company, Aperture Credentialing, Inc., from 1997 to 1999, when she joined Norton Healthcare. Mrs. Bean grew up in Louisville and received her bachelor’s degree in accounting from the University of Louisville in 1981. She was a first-generation college graduate in her family and went on to obtain her CPA license while working at Ernst & Whinney. Mary Jo recently married her husband, Don Ward, in October 2015. While she has no biological children of her own, she has two by marriage, Emily and Grant Ward, along with her four-legged child, Miga, a long-haired Chihuahua. Mary Jo loves traveling and exercising, but mostly loves to enjoy her beach home with her family in Florida. Bio: Melissa Melton is a Principal with Mercer's Career business as the MVS Operations Leader. Melissa manages a team of compensation analysts who work with clients seeking to gain a better understanding of market competitiveness. In addition to her role as the MVS Operations Leader, Melissa has served as the co-chair for the Louisville Women’s Network for the last four years and been a member for the last six. 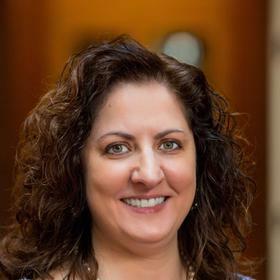 Melissa has nearly twenty years of software and consulting experience spanning several industries and areas of expertise, including twelve years of compensation related systems experience. She began her career at Mercer more than fourteen years ago and prior to joining Mercer, Melissa spent several years managing software support and implementation at a software firm where she worked closely with both internal and external clients. Bio: Terrian Barnes is the principal/owner of Fe-smart LLC, a women's leadership consultancy, and a seasoned diversity and inclusion expert. She created the role of Chief Diversity Officer at Yum! Brands, a Fortune 500 global restaurant company, and was the business leader responsible for optimizing innovation through multicultural marketing, inclusive HR leadership practices, minority and women's business development, and strategic community engagement. Prior to Yum!, Terrian was a Washington, DC franchise trade association executive advocating for economic development in underserved markets and spearheading women and minority leadership initiatives. As a national industry spokesperson, she appeared on the Oprah Winfrey Show and was one of Black Enterprise Magazine's 2011 Top Diversity Executives. She serves on the boards of the Children's Hospital Foundation, Bernheim Forest, Kentucky to the World, and the National Trust Community Investment Corporation, and is a founding member of Women Influencing Louisville; a Compassionate Louisville volunteer; and a member of the American Heart Association Circle of Red Society. Bio: Theresa is the new President & CEO of Metro United Way as of January 2017. 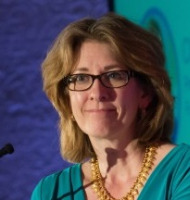 She most recently served as the first Chief of Performance & Technology for Louisville Metro Government, where she oversaw the Office of Performance Improvement & Innovation (OPI2), the Department of Information Technology (DoIT) and the Department of Human Resources (HR); coordinating the people, processes and technology required to improve the way government works and the results they deliver to the community. Along with a talented team of professionals, Theresa launched Louisville’s internationally-recognized LouieStat program. She has spoken both internationally and nationally on the subjects of performance management, data-driven decision making, and culture change and co-authored a chapter in the book Beyond Transparency. In 2015, Government Technology named her one of the Top 25 Doers, Dreamers & Drivers. In 2016, Theresa received the Best of Kentucky Visionary Award. A graduate of the United States Coast Guard Academy and former Lieutenant in the U.S. Coast Guard where she deployed to the Persian Gulf, was on the first Coast Guard Cutter to circumnavigate the globe and served as a Sea Marshall post 9-11, Theresa earned a Master’s in Public Policy from Harvard’s Kennedy School of Government and previously worked as a consultant with McKinsey & Company. Theresa serves on the Board of Directors for the Girl Scouts of Kentuckiana, Actors Theatre, and The Drucker Institute. Theresa lives in the Highlands of Louisville, Kentucky with her husband and 3 children. Bio: Demetria Miles-McDonald is the Founder and CEO of Decide Diversity, a company focused on increasing the presence and effectiveness of women and minorities in the workplace, specifically in leadership positions. Demetria’s experiences in retail and corporate America have energized her to take action and lead a new generation of leaders away from traditional stereotypes and self-inflicted limiting behaviors that prevent qualified people from reaching their highest potential. Demetria specializes in bringing the experiences of people who identify with two or more marginalized groups to the forefront, to better understand the strengths they bring to the workplace. Demetria has been in the business of helping people bring their best selves to work every day, for over 10 years in various leadership and organizational development positions. Demetria has a bachelor’s degree in Psychology and a master’s degree in Instructional Design. Demetria’s unique perspective as an intersectional employee, leader, and researcher brings clarity, freshness, and focus to diversity issues at work that may otherwise go unnoticed. To learn more about Demetria and her work visit decidediversity.com or follow @Decide Diversity on Facebook and LinkedIn. Contact Demetria directly for speaking engagements, training, and consulting at demetria@decidediversity.com.